The mobile industry is congested with a long list of available devices, but there are those smartphone series that have earned their spot in our hearts and pockets. The Moto X is definitely a phone we have begun looking forward to every single year. Smack in the middle of 2015, the time for the new Moto X successor is getting nigh. As it goes with any major release, we have been following the internet murmurs very closely. There’s now enough details to get a relatively clear idea of how the Moto X (2015) will stack up against the competition. 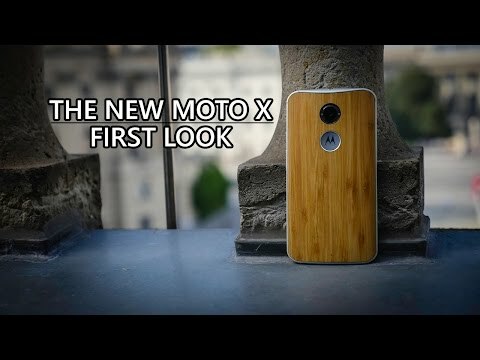 The New Moto X First Look! We expect Motorola to unveil the Moto X (2015) tomorrow, July 28, along the third generation of the Moto G, during its events in London, New York, and Sao Paulo. Unlike the Moto G, which has been leaked extensively, the Moto X has been the star of fewer reports, which could mean its launch won’t happen tomorrow. But that’s not very likely, as the absence of big leaks could be due to Motorola keeping its cards closer to the chest when it comes to the Moto X.
Let’s review the information we have so far on the Moto X (2015). Motorola is not known for changing its Moto X (and Moto G) designs very drastically, which is why this year seems to be a little special. While Motorola’s iconic aesthetics seem to remain true to previous iterations, the latest rumors and leaks suggest the manufacturer is looking to further streamline its new releases, making them look more like a Nexus 6. In recent leaks we have seen images that display that metal edge and plastic back that resembles the over-sized Google phone. Even the 3.5 mm headset jack seems to be located in the same spot (at the top). The power button and volume rocker adorn the right side. The main difference is that Motorola is now adopting that metal strip with the logo at the end, which we have also seen in leaks of the Moto G (and others). This same area houses the camera lens and a dual LED flash. Other than slight differences, the new Moto X should really look like a smaller Nexus 6. We do have good news for those who are fans of golden hues, though, as there is rumored to be a gold/white version of the phone. Exact details on the upcoming Moto X’s display are very scarce, but what we do know seems to be a bit polarized. Some images and rumors suggest this phone will be equally sized to its predecessor, while others suggest it will be a much larger phone. Recent reports say the new Moto X could have a 5.5-inch display, but others are set on the idea they will stick with the more traditional 5.2-inch size. Regardless of the size, odds are the Moto X (2015) will see a substantial increase in screen quality. More specifically, the phone is said to have a Quad HD (2560 x 1440) display that will prove to be much crisper than previous iteration. We expect Motorola to keep utilizing AMOLED technology, and that should result in one of the finest display experiences on the market. The first Moto X only had a 4.7-inch 720p screen. Motorola then improved the 2nd-gen Moto X with a 5.2-inch 1080p display. 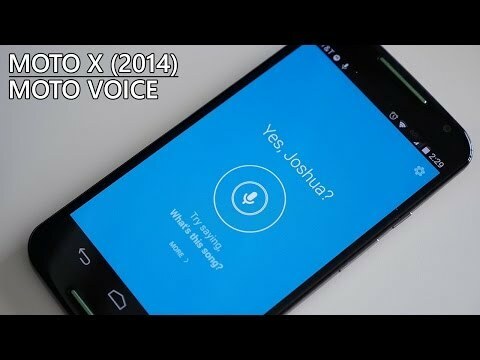 If the rumors pan out, the Moto X (2015) will see the biggest screen upgrade in the series. We can’t say we have much faith on the rumors we have seen on Moto X (2015) specs. Most of what we can gather is summarized by rumors from May. These state the phone should come with a Qualcomm Snapdragon 808 processor, 4 GB of RAM and a hefty 3280 mAh battery. We are sure the official specifications will at least get close to the one mentioned above, but that is just because we expect the new Moto X to come with high-end hardware. These rumors do mention high current industry standard, so at least some of these details will probably be true. But if the Moto X is expected to be one of the best phones in the market, why conform with a Snapdragon 808? Remember the Snapdragon 808 chipset is not really a bad processor… it just happens to be a bit inferior to the almighty 810. Remember the LG G4 also carries Qualcomm’s Snapdragon 808 SoC, yet it performs very well and is not really considered to be under any other high-end competitor. Furthermore, the Moto X hasn’t been about carrying the latest and greatest in the past. They went with a Snapdragon S4 Pro on the first-generation Moto X, while everyone else was moving to the Snapdragon 800. Furthermore, Motorola opted for installing a Snapdragon 801 chip on the 2014 Moto X, when everyone else was moving towards Snapdragon 805. This didn’t make any of the Moto X handsets inferior to the competition. They were fast, powerful and offered very unique features. Remember, you don’t need the absolute best processor out there to make an amazing handset. 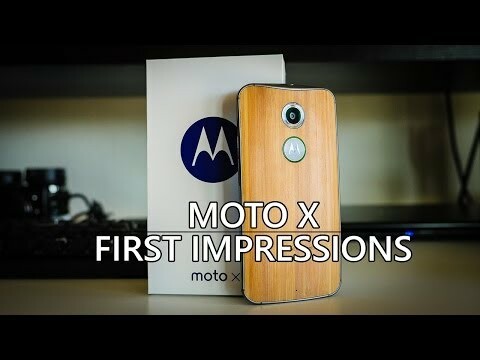 I am also very interested in other Moto X (2015) rumors we have seen hit the internet. The new smartphone is expected to come with a fingerprint sensor, and a recent leak from Perú Android displays it right in the lower front speaker. This is a very interesting placement for a sensor, and it’s the first time we have seen any major smartphone manufacturer do this. It does seem to effectively get rid of the usual space hassles that a fingerprint reader brings, though. However, a leak of the purported Moto X 2015 chassis reveals that the fingerprint scanner could be located on the back beneath the camera, similar to the implementation by Chinese manufacturer Huawei in the Ascend Mate 7. This could easily be something else however, even an additional feature related to the camera so both may yet prove to be accurate. We know little to no information on the camera, but honestly we are not getting our hopes too high here. The Moto X series has never been known for outstanding camera quality. These phones produce fair pictures, but nothing above the ordinary, and this is a pattern that will likely continue with the 2015 iteration. Older murmurs do tell us the phone may come with a 16 MP rear camera and a 5 MP front shooter. 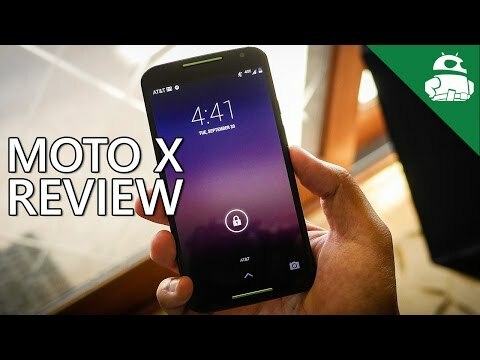 Meanwhile, more recent rumors suggest the new Moto X will be quite unique, sporting a 21 MP rear sensor and a front-facing flash that will take your selfies to a whole other level. Motorola also says that the company is taking camera quality very seriously with its next line of smartphones, though we’ll have to wait and see if that’s true. Most recent Moto G and Moto X handsets have run on a version of Android that’s close to Pure Android with the addition of a few small interface tweaks and it’s likely that the Moto X (2015) will follow in the same vein. One benefit to this approach is that Motorola is able to provide timely updates for its handsets and the Moto X (2015) is likely to run Android 5.1.1 Lollipop at launch with a timely update to Android M after it launches towards the end of the year. Some of the software additions in the Moto X (2014) included an ever-present Google Now screen to the left of your home screen (similar to how it is on the Google Now Launcher), a persistent search bar when swiping between home screens, an improved notifications and quick settings centre and the unique multitasking carousel. All of these features should be present on the latest update and there’s likely to be further additions which will be revealed during the launch. Alongside the Moto X (2015), Motorola is also expected to launch the Motorola Moto G and thanks to a series of leaks, we have a pretty good idea of what to expect from Motorola’s mid-range handset. A previously leaked promo video revealed most of the specs for the handset and one of the biggest changes is that Motorola have bumped the display up to Full HD resolution (from 720p HD). Based on that video and other hands on images, we know the display will measure 5.0-inches (which will deliver a density of 441 pixels per inch) and the handset will be powered by a quad-core 1.4GHz Qualcomm Snapdragon 410 processor with 2GB RAM. Under the hood, there will also be 4G LTE connectivity, a choice of either 8GB or 16GB internal storage and the usual plethora of connectivity options. The handset will run on Android 5.1.1 Lollipop – with presumably the same features as the new Moto X – and the rear camera will have a 13MP camera while the front will be a 5MP unit. A further leak revealed the Moto G (2015) will be IPx7 rated meaning it should be dustproof and water resistant up to 1 metre and 30 minutes underwater. As we exclusively revealed just an hour ago, the Moto G (2015) will launch in just two days’ time – at least in the UK, although it should launch in other countries around the same time – while press images and live shots have pretty much revealed what the handset will look like. Another leak revealed the Moto G will also launch with Moto Maker and will be available with a choice of different accents as well as housing colours and alternative back shells. At an expected cost of just $179.99, the handset could prove to be as popular as the original was. Motorola has confirmed that it is holding events in New York City and London on July 28th (tomorrow) where the Moto X (2015) is expected to be announced, possibly alongside the Moto G (2015) and a new Moto 360 smartwatch. If past devices are any indication, the Moto X (2015) could launch at a competitive price point, possibly in the $450-$550 range. While the Moto G has made many appearances in the rumour mill, the Moto X has been less featured and it looks like there is still plenty for Motorola to surprise us with tomorrow. We will be on the ground at the company’s USA and UK events bringing you all the information that Motorola announce – is there anything in particular you want us to find out? Are you going to buy either of the two handsets? Let us know your views in the comments below!